One of our favourite events in London is the RHS Chelsea Flower Show, an annual May highlight. The 2019 event takes place from 21-25 May. 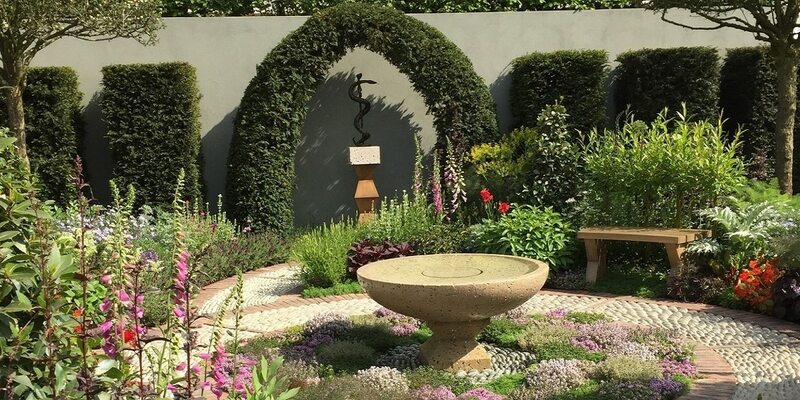 This spectacular event showcases the very best in gardening and garden design and is certainly one of the high points of the UK’s horticultural calendar. For just 5 special days, green-fingered artists transform the site at the Royal Chelsea Hospital into a dazzling display of floral blooms, rare flowers and innovative garden designs. Most visitors head straight for the Show Gardens which have previously evoked exotic landscapes as far apart and diverse as Malta, China and Canada. Highlights in 2018 included Kazuyuki Ishihara’s Japanese Hospitality Garden and Sarah Price’s Mediterranean garden. The Great Pavilion is also a crowd pleaser, with plants of every shape, size and colour on display. During the Show, the neighbouring streets around London’s glitzy Sloane Square are festooned with extravagant floral displays. Meanwhile, several top London hotels provide a seasonal twist on their afternoon tea. Treats include spectacular displays of miniature cakes and pastries topped with edible flowers. Tickets for the RHS Chelsea Flower Show 2019 cost from £30 for members. Full or half-day tickets are available. Visit the RHS website for full information.